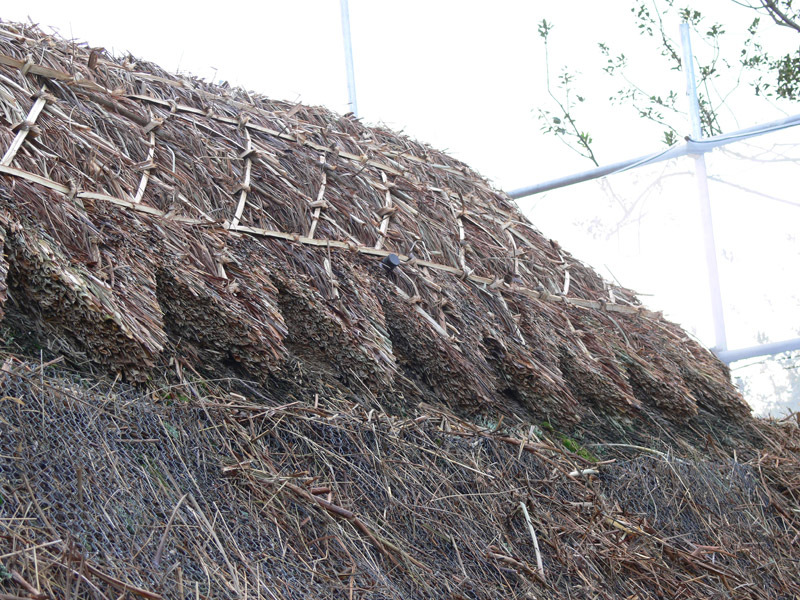 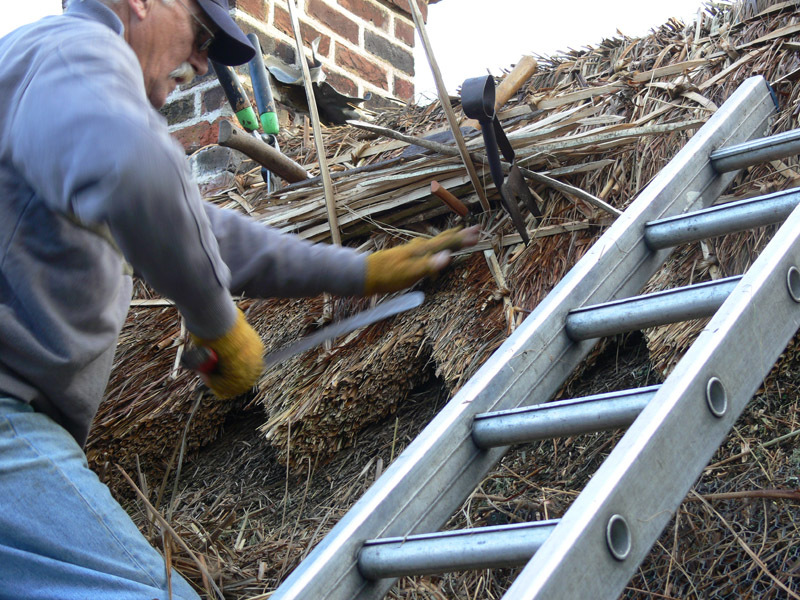 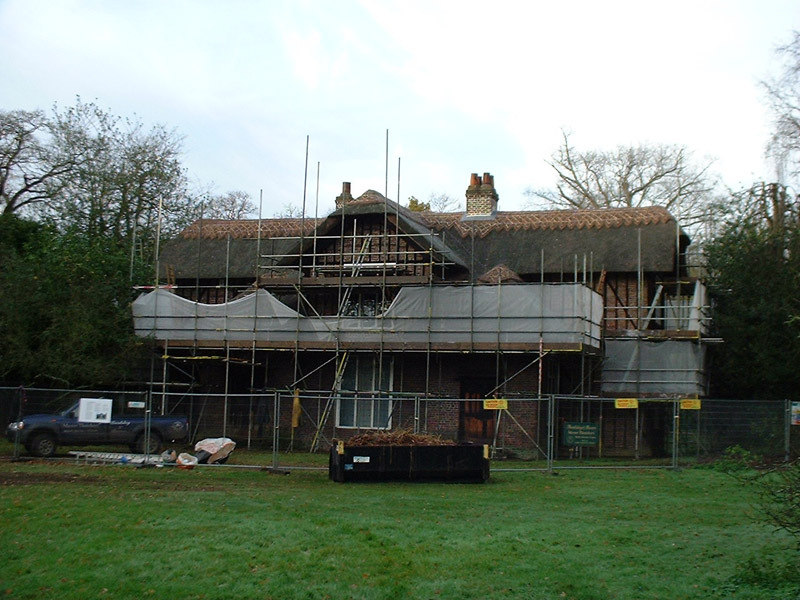 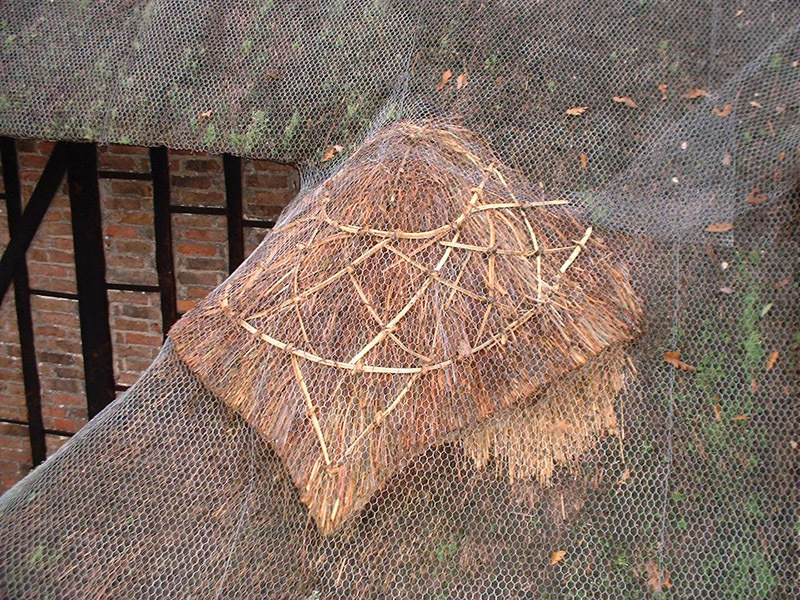 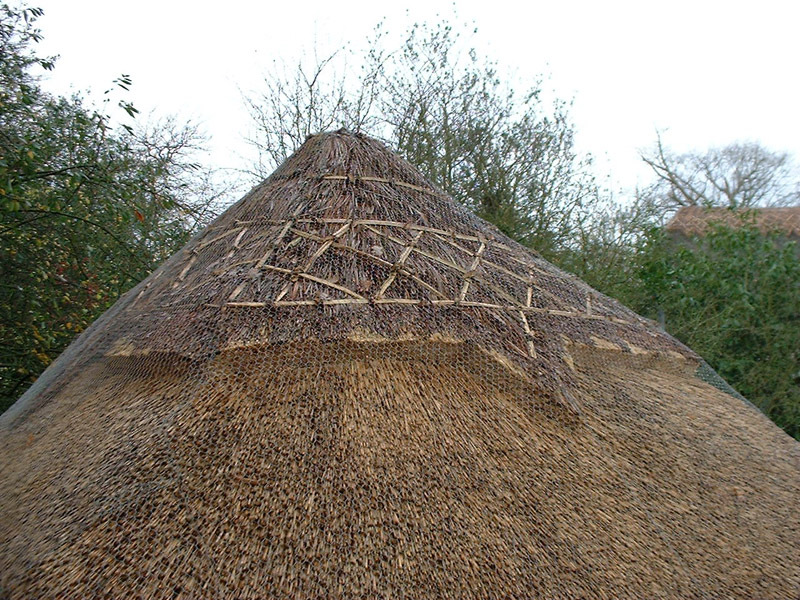 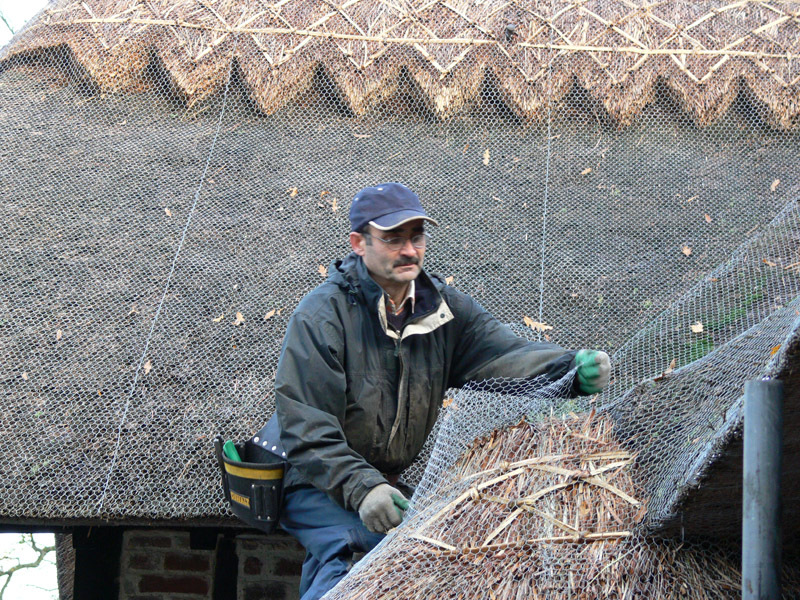 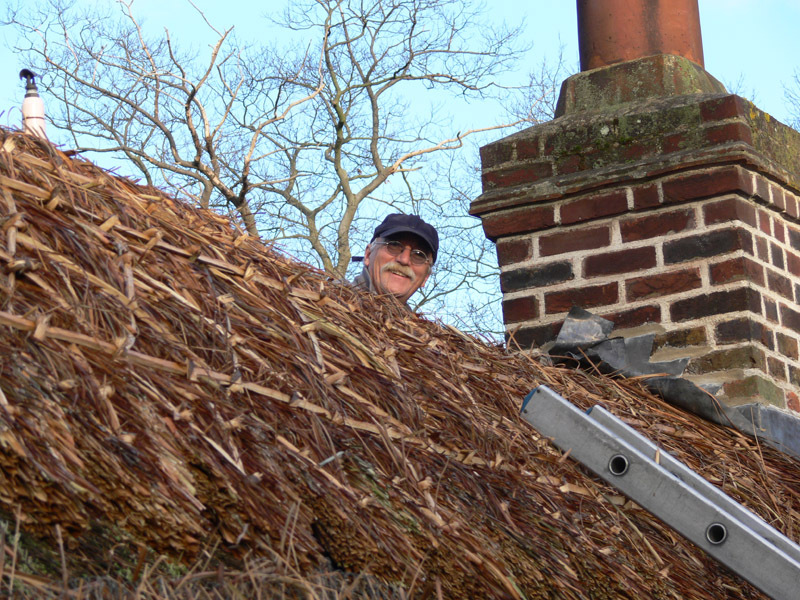 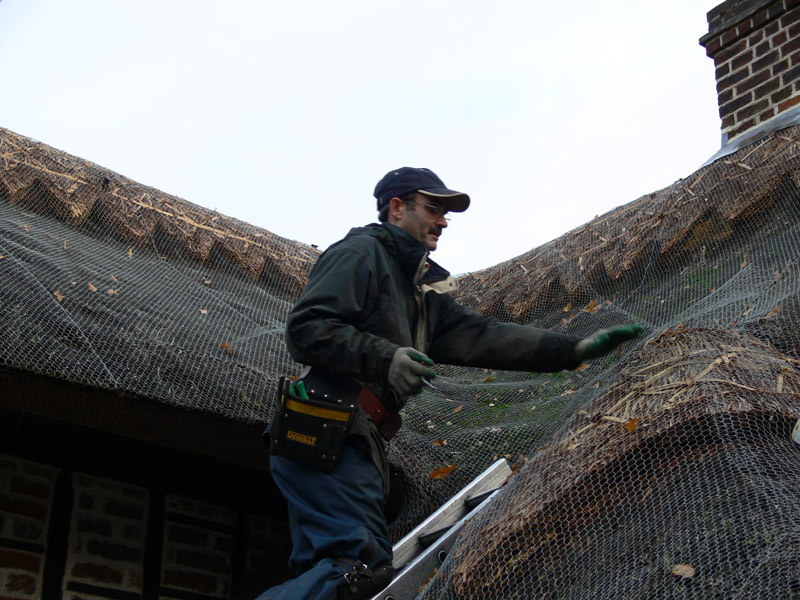 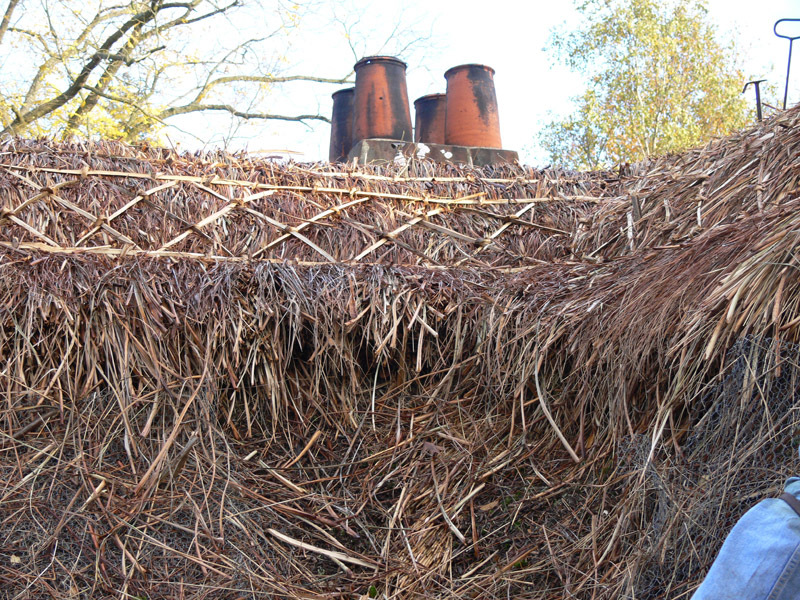 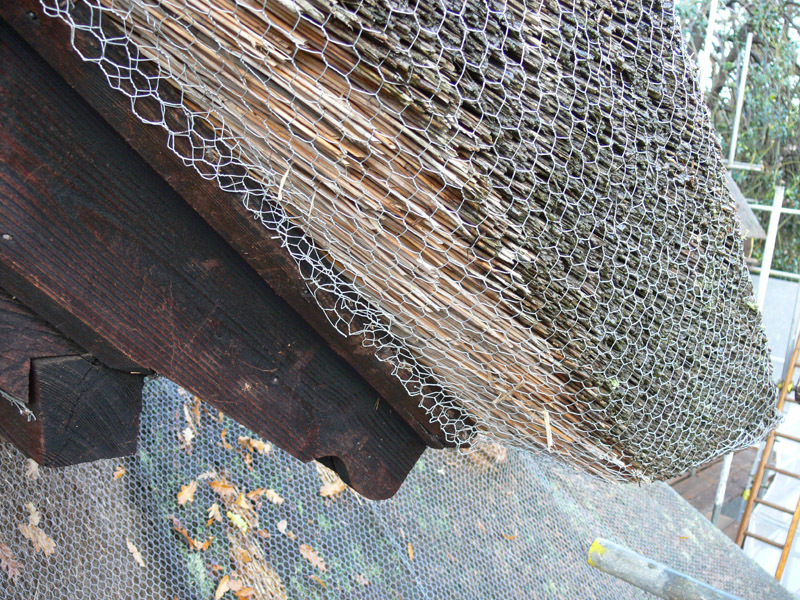 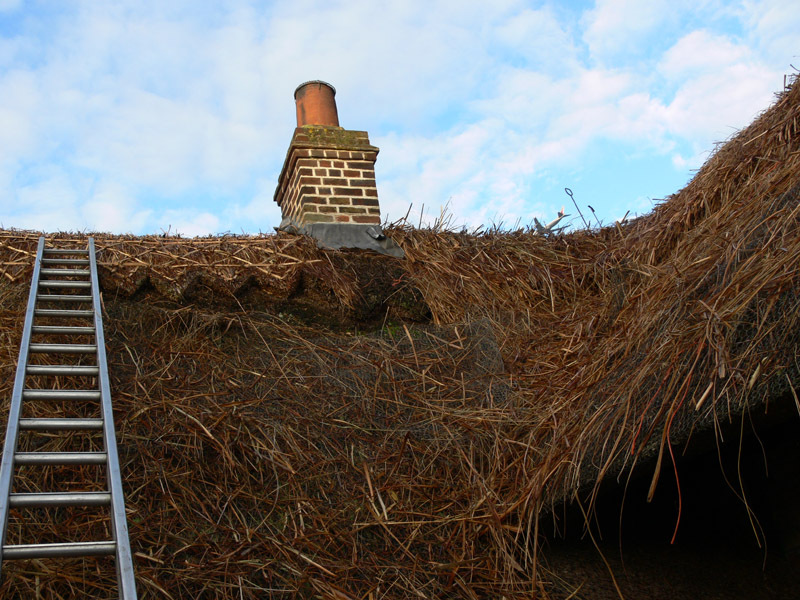 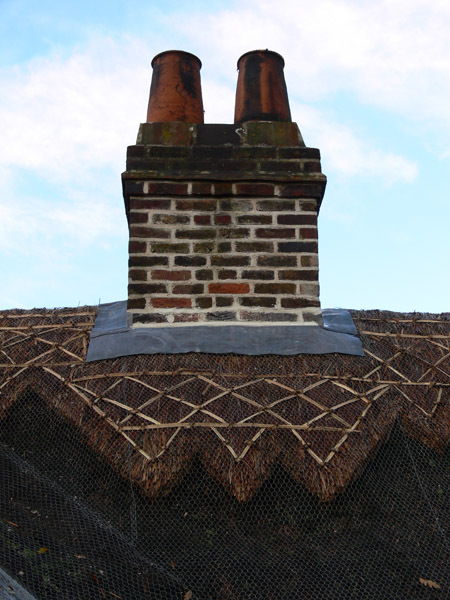 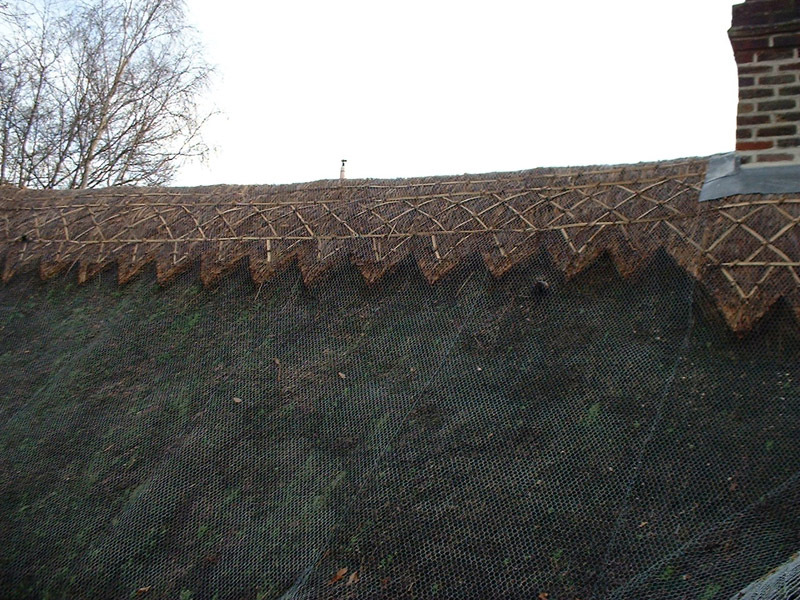 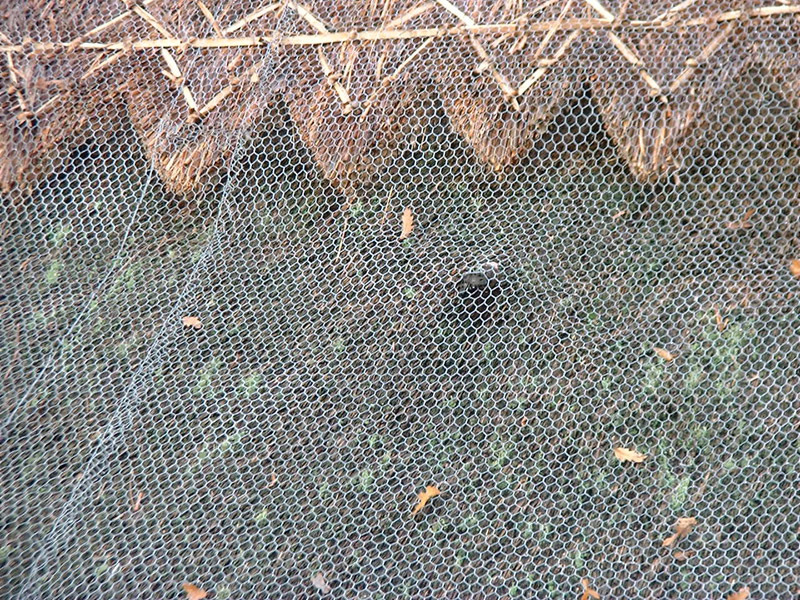 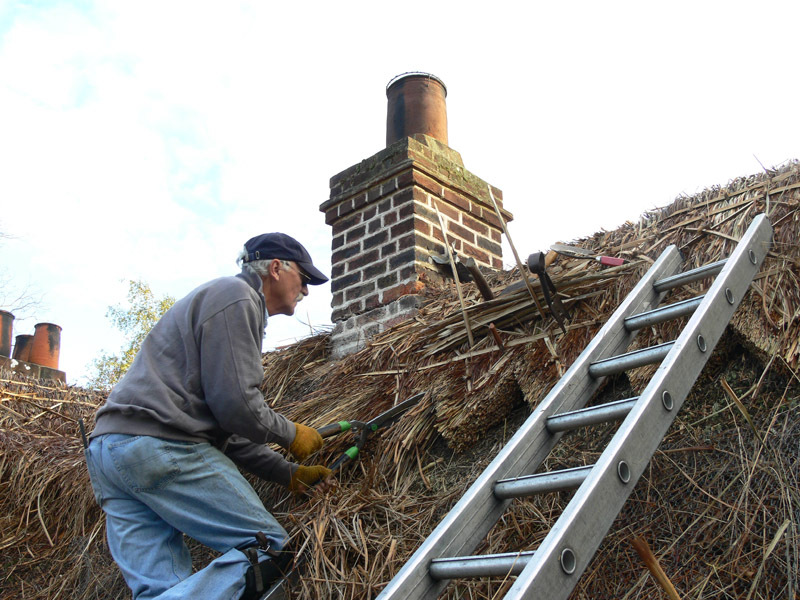 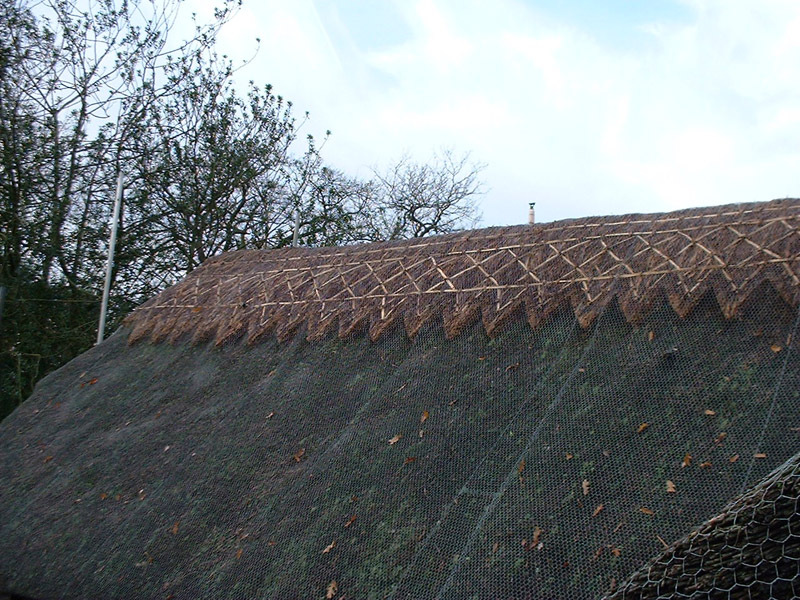 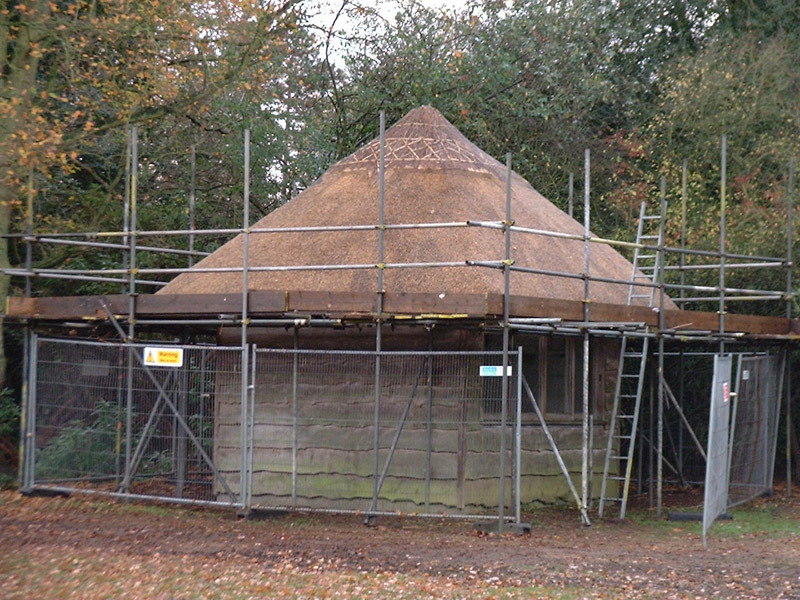 The roof is thatched in Norfolk Reed (water reed from Norfolk which was specified because that was the original material) with a sedge, patterned ridge. 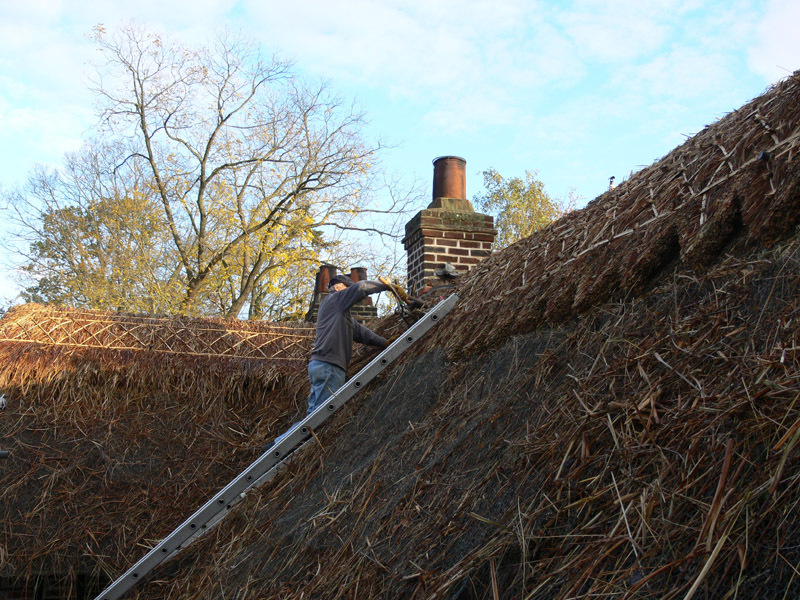 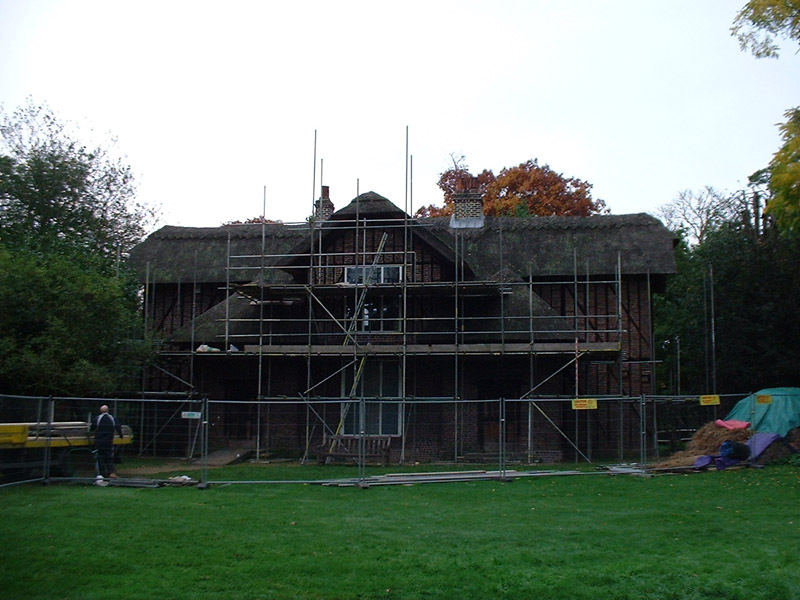 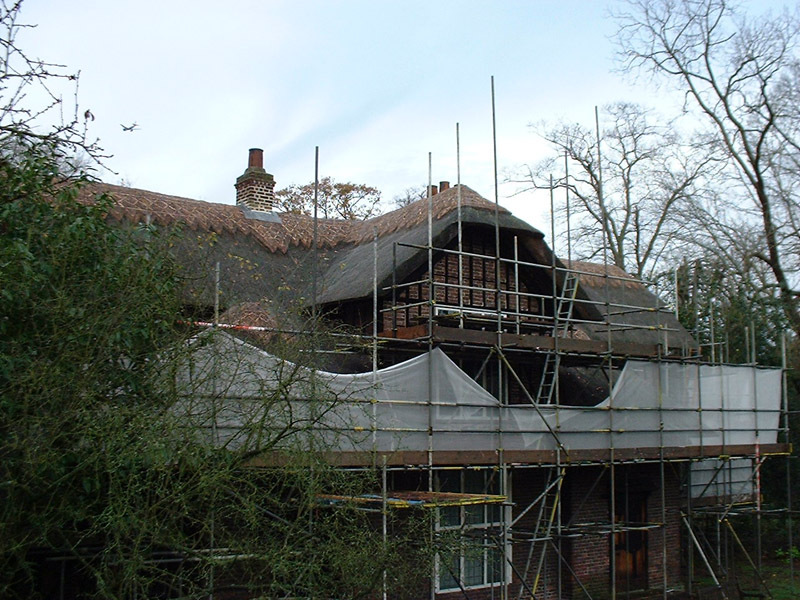 We were asked to re-ridge the roof and as it is a historic building, the ridge detail was to be unchanged in style. 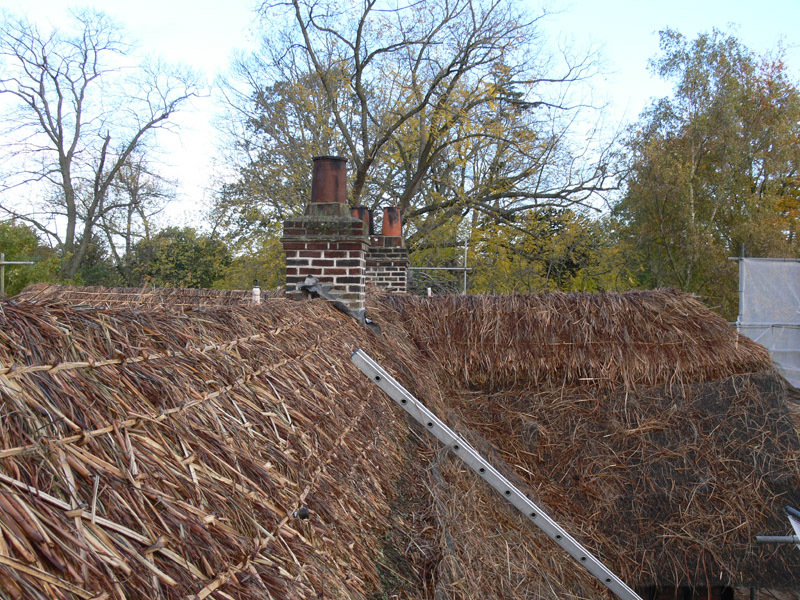 In addition, we were asked to rethatch a small, adjacent building used as a ticket office for entry to the inside of the Cottage. 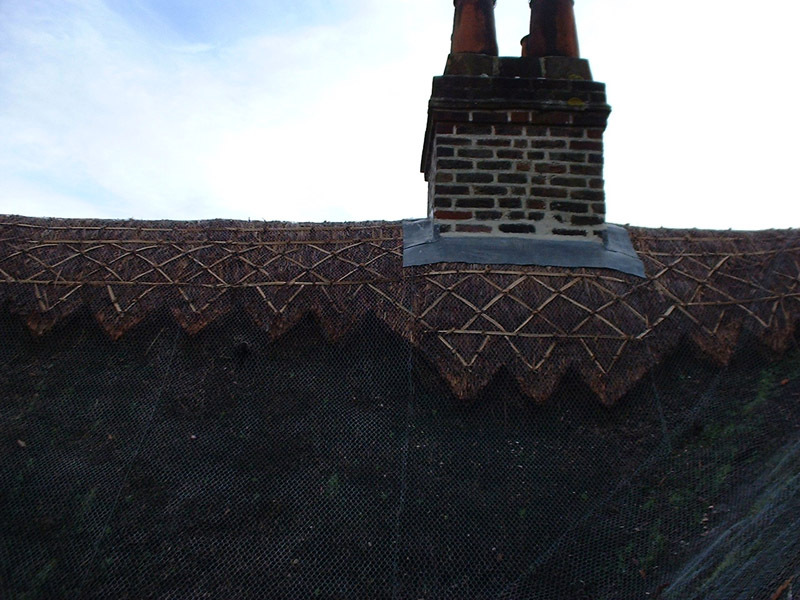 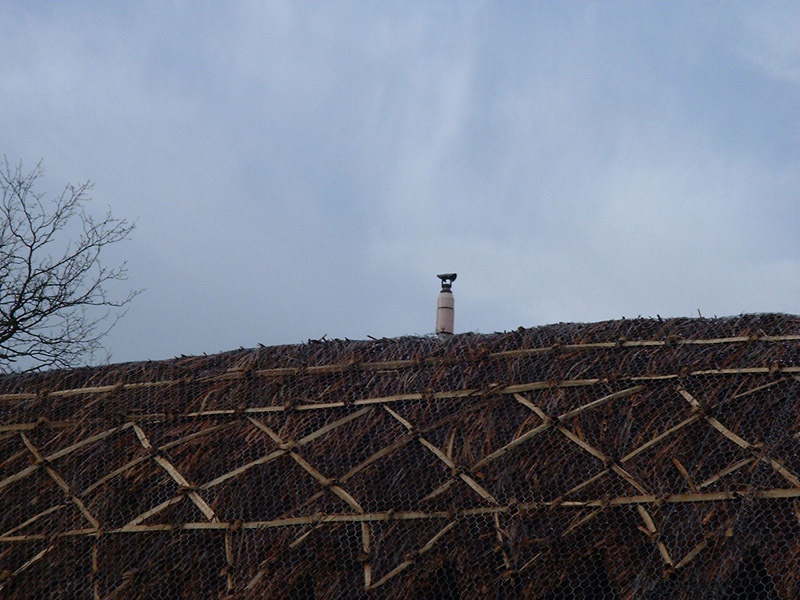 The main cottage is fitted with a sprinkler system and the sprinklers poke through the thatch in numerous places. 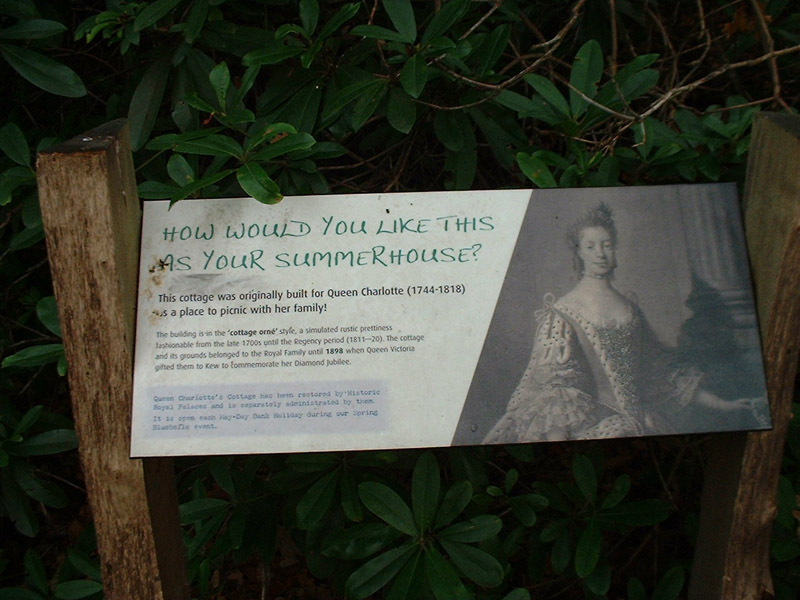 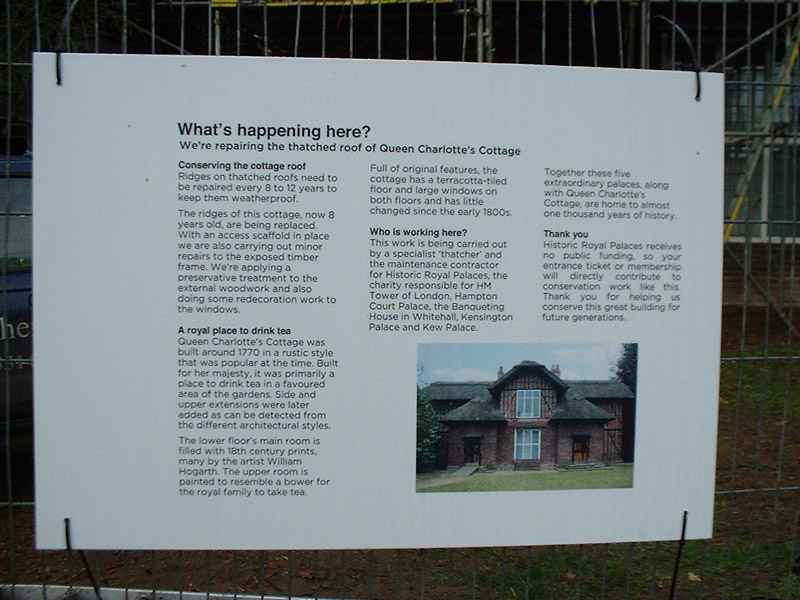 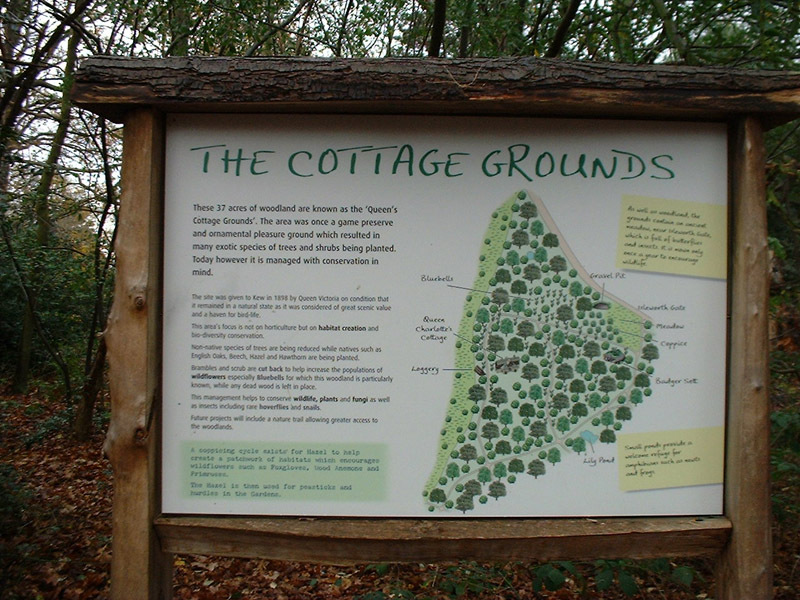 Click the image to the right to view a selection of photos from this project.